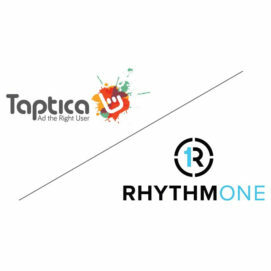 Taptica, a global leader in advertising technologies, announced on Monday (4 February) the acquisition of RhythmOne for USD$176m (£136m) in an all-stock deal, pending shareholder approval. RhythmOne provides cross-screen solutions focused on connected TV (CTV). 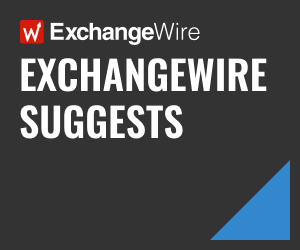 The combination of RhythmOne and Tremor Video DSP, which Taptica acquired in August 2017, will create one of the leading independent video advertising companies in the U.S.
RhythmOne offers high-impact programmatic video capabilities that are based on an advanced media offering with an emphasis on CTV, enabled by RhythmMax, their robust exchange. The alignment in business models with Tremor Video DSP will provide immediate scale; and the addition of RhythmOne’s unique audience data and analytics capabilities will create a full-stack solution for advertisers. Additionally, RhythmOne’s acquisition of YuMe, which created one of the largest independent digital video advertising marketplaces, brings relationships with large-scale, tier-one advertisers, access to premium inventory, and provides extended reach into CTV. YuMe and Tremor Video DSP will work together with strong cross-selling opportunities, further diversifying existing revenue streams. Certain RhythmOne assets could also be complementary to Taptica’s performance business. RhythmOne has strong relationships and agreements in place to access a large supply of media. The combined group will be able to offer a media platform with the ability to reach a large volume of users and optimise performance based on a technological advantage. Founded in 2004, RhythmOne is headquartered in San Francisco with 600 employees and has additional offices in Austin, Bellevue, Chicago, New York, and Waterloo (Ontario). RhythmOne currently works with more than 4,000 digital publishers and serves over 500 top brands. The IPA on Monday (4 February) issued an urgent call for a publicly available, platform-neutral, industry-owned register of all political ads online. According to the professional body that represents the leading ad agencies in the UK, the register should be funded by the online platforms with oversight by the Joint Industry Committee for Web Standards (JICWEBS). The IPA calls for each online platform to be responsible for populating the industry-owned register by providing all their political ad campaign data and metadata as feeds. Furthermore, echoing Full Fact, the UK’s Independent Factchecking Charity, the IPA calls for the register to be in real time, machine-readable, and with full details of content, targeting, and spend. To fund this registering, the IPA moots the idea of online platforms charging a fixed fee for each individual political ad creative used, irrespective of the scale of use. This would correlate registry funding to the workload of political messaging it would have to handle. It would also act as a check on political microtargeting, which has previously been highlighted by the IPA as vulnerable to abuse. This is in light of the fact that online platforms are continuing to run microtargeted Brexit-related political ads online that are unregulated and risk polarising political discourse. Both sides of the debate are serving political messages to the public and to politicians with, at best, negligible oversight; and for which the platforms are receiving significant advertising revenue. 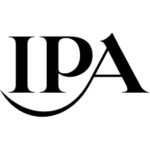 The move also follows feedback recently sought by the IPA from the individual platforms, which reveals that, while some progress has been made, more urgent, cross-industry action is required in the United Kingdom. The IPA understands that, while all political ads on Twitter in the U.S. must meet additional eligibility requirements and file for certification, they are disappointed that this is not the case for the UK, at present. The IPA also understands there is no registry or archive of political advertising messages in promoted tweets targeting UK users. Facebook, meanwhile, does now provide political ad archiving for the UK. Paul Bainsfair, director general, IPA, comments: “The vast majority of advertising in the UK complies with the law and the self-regulatory codes. It is a great shame that, because online political advertising is unregulated, misleading political advertising tarnishes the industry as a whole. “Back last year, we endorsed transparency in the world of political advertising online as the next best thing to regulation. For this reason, we called for a publicly accessible and searchable register of all political ad messages, alongside a moratorium on microtargeted political advertising online. We still call for this, however, given that only small steps are currently being made by the online tech platforms and that they continue to wield such power on voter decision making. We find it incumbent upon us to call for more urgent action in the form of a register of online political ads, funded by the tech platforms themselves. In addition to this latest call, the IPA supports the Electoral Commission’s request for imprints for online political ads. It also awaits the findings of the upcoming final report from the DCMS into Disinformation, for which it has submitted evidence. It also supports Sunday’s (3 February) call by the ICO for a pause on online political advertising until relevant parties and campaigns can agree the appropriate rules. Snap Inc. announced Tuesday (5 February) financial results for the quarter and full year, ended 31 December, 2018. Introduced Friendship Profiles, a collection of images, videos, messages, links, and more, that users and friends have saved in Chat. Friendship Profiles make it easy to find favourite Memories and the important things that are saved over time in one place. Commercials, the six-second non-skippable video ad, continued to perform well. The majority was transacted via the Premium Content Targeting tool, a part of the Self-Serve Platform for large brands and agencies. Welcomed several talented and experienced leaders from some of the world’s leading tech and media companies, including Jared Grusd, chief strategy officer; and Jeremi Gorman, chief business officer. Julie Henderson will be joining Snap shortly as chief communications officer.